Hi, I wanted to share my Thanksgiving cards with you today. This one uses a Die-Versions die. This one uses the My Favorite Things Pure Innocence Cornucopia girl. 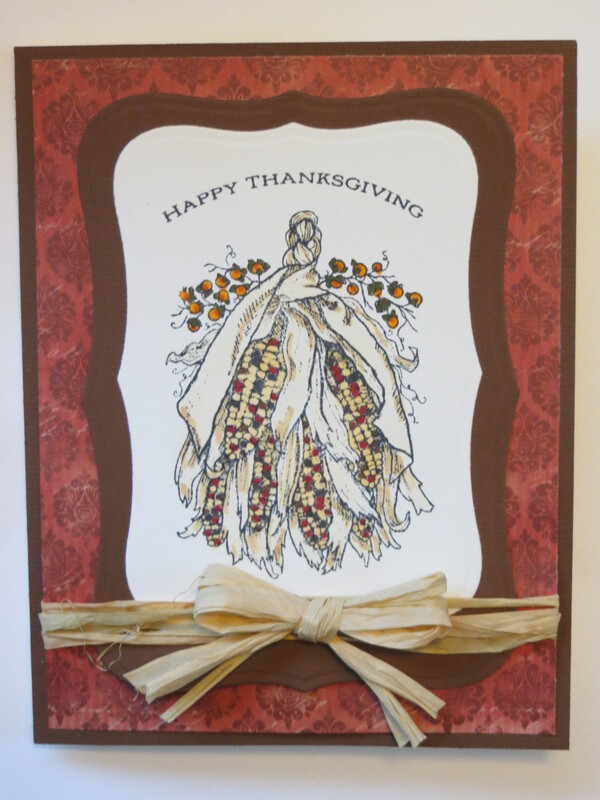 This one uses the Memory Box turkey die. The sentiment is from Unity. This card uses a stamp set from I Heart Papers, and another Unity sentiment. This one I made from coordinating papers of a paper pack that I had in my stash. The thankful is from Reverse Confetti. And finally, I made this one using a felt pumpkin that I cut off of a garland, colored with copics and used a little raffia as trim. Another Unity sentiment finishes it off.